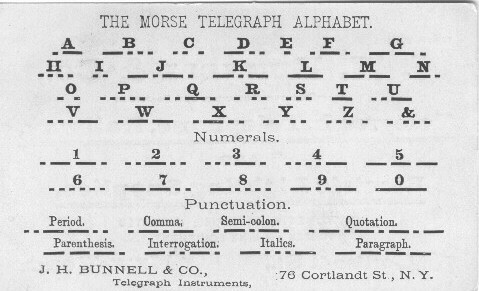 Samuel Morse's original code was designed for the landline telegraph service. It worked well with the mechanical sounders heard in the telegraph stations. However, with use, some characters we changed by various users in various countries. In 1848 Germany created a standard which eliminated the long spaces and long dashes. The new standard also changed the code for the numerical characters. This modified version of the Morse code was accepted in 1865 throughout Europe and became known as Continental Morse. Later, as Continental Morse was accepted for use around the world, it became known as International Morse. The original version of Morse code became known as American Morse. In 1912 at the Radiotelegraphic Convention meeting in London, it was decided that all radio signals would be sent using International Morse. Thus the confusion of various operators inter-mixing the two code was eliminated. American Morse remained the standard for U.S. landline telegraph companies, as it could be sent about 5% faster than International Morse. American Morse was also commonly used for domestic radio traffic on the Great Lakes and along the coasts. International Morse was used on ocean-going vessels. Many shipboard operators were skilled at using both versions of the Morse code. Today, American Morse is nearly extinct. It was last used by the railroads. Some Civil War re-enactments use American Morse for historical accuracy. A . _ O . .
B _ . . . P . . . . .
C . . . Q . . _ . D _ . . R . . .
E . S . . .
J _ . _ . X . _ . .
K _ . _ Y . . . .
L ____ (long dash) Z . . . .
1 . _ _ . 6 . . . . . .
2 . . _ . . 7 - - . .
3 . . . _ . 8 _ . . . .
C . . . C _ . _ .
F . _ . F . . _ .
L ___[long dash] L . _ . .
P . . . . . P . _ _ .
R . . . R . _ . Z . . . . Z _ _ . .
5 _ _ _ 5 . . . . .
6 . . . . . . 6 _ . . . .
7 _ _ . . 7 _ _ . . .
8 _ . . . . 8 _ _ _ . .
9 _ . . _ 9 _ _ _ _ . 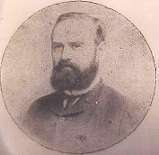 The Continental Morse Code was accepted as the International Morse Code and was used worldwide. The original Morse Code became the American Morse Code and was used for railroad telegraphy in the United States through the 1960's.